Director Jia Zhangke's latest work Ash Is Purest White has broken his personal highest box office record of 32.2 million yuan ($ 4.9million) on Sunday morning after being screened across the country for three days. The movie, Jia's only work in the last three years after his Mountains May Depart in 2015, tells a story of a young model Qiaoqiao, who is in love with Bin'ge, a local gangster and boss of a taxi company in Datong of North China's Shanxi Province in 2001. She hopes to marry Bin'ge one day. However, things start to change after she is sentenced to five years in prison when she takes Bin's defense during a clash between gangs. Just as Jia's past works, the movie enjoys a high reputation both domestically and abroad. 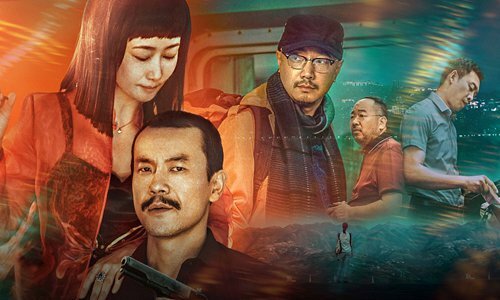 It now holds a point of 7.8 at Chinese movie sites, such as Douban and Maoyan, and has been widely acclaimed internationally since its premiere at Cannes Film Festival this past May. "From my experience, this one is better than his Mountains May Depart in both form and storytelling. Especially the first part, the local gangsters feel is very good. It seems Jia has a great ambition of linking current time to the past several movies," commented Douban user taotaotaodianying, who gives four out of five stars to the movie.